Constance Douglas was born on Sept. 26, 1901, in Eagle Pass, Tex., on the Mexican border. 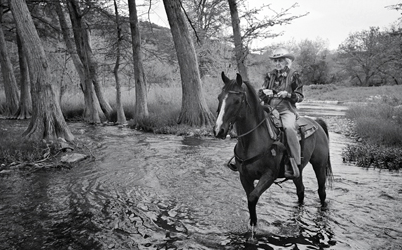 She swam in the Rio Grande and rode horses with the cowboys. Her grandfather gave her her first horse when she was 5. The family moved to San Antonio when she was 16. Her father was a lawyer, and her mother was so genteel that she refused to go to the grocer’s without gloves and a hat. 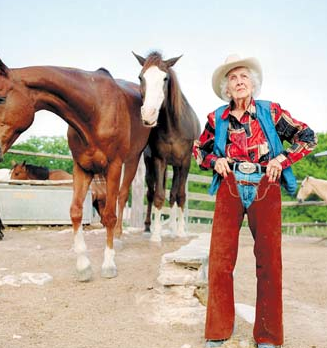 At 101 years old, Connie was still riding her horse everyday. She was a huge inspiration to many people. Her health was great and her mind was sharp. She was one of the first women to study law at the University of Texas, and she started one of the state’s first girls’ drill teams, a movement that grew into a Texas passion. She had to withdraw from school and get a job to help her family during the depression. In 1998, Mrs. Reeves won the Chester A. Reynolds Award for major contributions to the Western way of life from the National Cowboy and Western Heritage Museum in Oklahoma City, one of two women to do so. 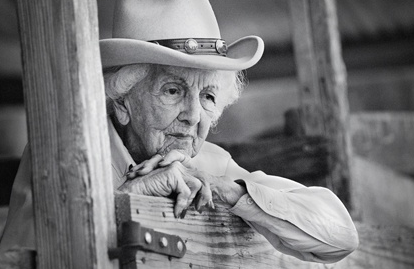 She was also the oldest member of the National Cowgirl Museum Hall of Fame. 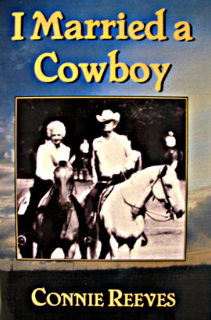 She was elected to the Cowgirl Hall of Fame in 1997, and rode in the parade to honor the Hall when it moved to new headquarters in Fort Worth in 2002. She was over 100 years old at the time. She taught at two San Antonio high schools. 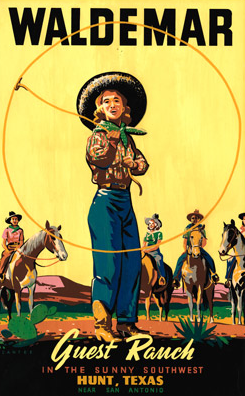 At one, Thomas Jefferson High, she founded a drill team called the Lassos, which is still in existence. She also started a riding stable to teach city boys and girls how to ride and care for horses. Although the stables were successful, she accepted a position as riding instructor at Camp Waldemar in 1936 for $50 a summer. She eventually taught Western and English riding styles to the granddaughters of her original students. She came to the conclusion that horses respond best to women. At the camp she met Jack Reeves, a former rodeo star, trick rider and keeper of the camp’s horses. They married in 1942; he died in 1985. They had no children, and she left no immediate survivors. Camp Waldemar is still alive and thriving. Teaching 100’s a girls a year during the summer all sorts of fun activities including polocrosse! 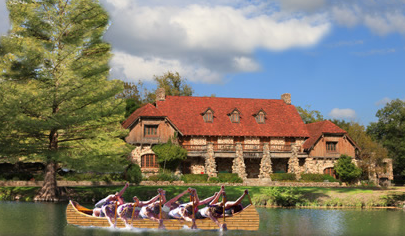 Camp Waldemar is a gorgeous magical place. I have been there several times in the off season to play polocrosse there. There is an annual polocrosse tournament that is played there in the spring. They just celebrated their 20th year playing! 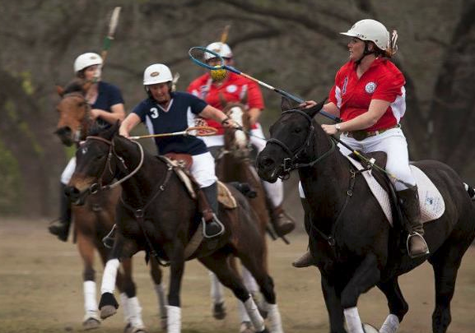 Click here to learn more about polocrosse and The World Cup 2015. On Left, Liz Pohl in hot pursuit of the ball- Connie Reeves was a mentor to her while she was a camper. Liz is still a huge part of the camp along with her family. On Right, Me, Jessie Reed! I can’t imagine it buzzing with teenage girls there in the summer! Ora Johnson established Waldemar in 1926. Her vision was to build the finest girls’ camp in the nation. Aunt Ora’s niece, Doris Johnson, carried on that dream during her 47 years as the camp director. These two remarkable women created Camp Waldemar that is today one of America’s finest girls’ camps.Their dream was continued and enhanced by Marsha English Elmore who directed the camp from 1979 to 1998. Her daughter, Meg Elmore Clark, took over as director in the summer of 1999 through summer 2008. 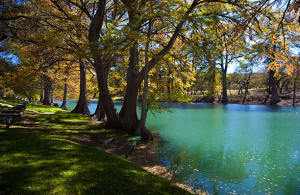 In Fall of 2008 Meg and her family moved on to pursue additional camping endeavors and her mother Marsha gladly assumed the responsibilities of director again in the summer of 2009. Marsha and her family strive to continue the traditions set forth by Waldemar’s founder Ora Johnson in 1926. Waldemar’s program that builds character, refinement, and self-esteem in young women, along with the exceptional beauty of the camp location sets this camp apart. Today, the styles may have changed, but the Elmore family continues to run Waldemar by preserving the camp legacy. If you would like to read more about Connie’s life, she wrote a book: Click on the book to order! Previous Post Transition layers with Alp-n-Rock!